1) Apply decorative paint techniques like stippling and combing which will help foster background elegance. 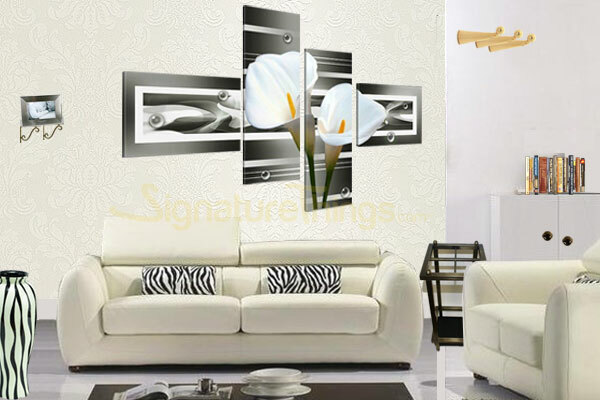 2) Decorate your living room wall with traditional looking wall hangings. Doesn't matter how formal it looks, but it makes you feel at your own place. 3) Have a sculptured bookshelf on a wall, and paint inside the bookshelf in an unexpected color or lighter shade of your wall color. 4) Having small mirror with frame color that matches with the wall makes a huge impact. 5) The most precious thing for us is our family, and equally their pictures. Design gallery of family pictures and other small photos in contrasting or matching frames, arrange them collage hallway or staircase or in your own style, and see the difference. This will count as gems and jewels of your home and your life. In addition to the above tips, We at signatureThings are launching our new series of modern brass switch plates which will certainly add beautiful craftsman's jewels to your wall.